- The Amulet of Samarkand is well known for its liberal use of footnotes to voice the title character's sarcastic comments, as well as story background. - Details about a film adaptation of The Amulet of Samarkand have been released. Miramax will finance the film, with John Madden directing and a screenplay by Hossein Amini. In this magical era of teens literature you can be sure that many novels have become repetitive and derivative of other novels. But The Amulet of Samarkand is one of those few that certainly possesses its own identity. This terrifyingly exciting and dark story is not for the faint-hearted. 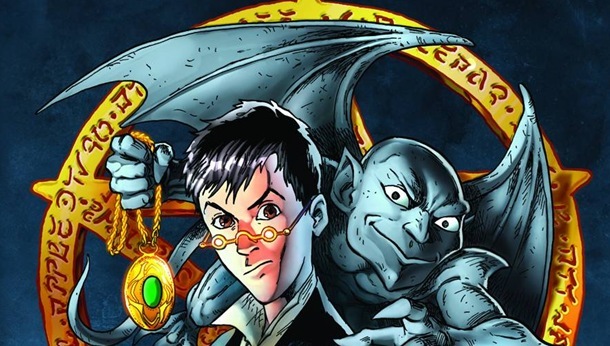 Would you dare summon an irascible 5,000-year-old djinni, Bartimaeus, to do your bidding -- though you knew the fact that he could crush you to pieces should he get a change? Would you dare steal the powerful Amulet of Samarkand from a master magician of unrivalled ruthlessness and ambition? Would you dare confront the uncertain and dangerous world of magic at your young age? Yes, Nathaniel (secretly known as John Mandrake) dares to do these feat... And you could know more of his daring by reading the book. 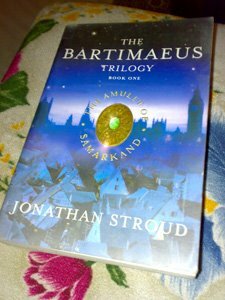 The Amulet of Samarkand: Bartimeus Trilogy by Jonathan Stroud is the first book in a thrilling new trilogy about an apprentice magician and the powerful djinni he summons. Nathaniel is a young magician with only one thing on his mind: revenge. As an apprentice to the great magician Underwood, Nathaniel is gradually being schooled in the traditional art of magic. All is well until he has a life-changing encounter with Simon Lovelace, a rising, star magician. When Simon brutally humiliates Nathaniel in front of everyone he knows, Nathaniel decides to speed up his magical education, teaching himself spells way beyond his years. Eventually, he masters one of the most difficult spells of all: summoning the all-powerful djinni, Bartimeus. But summoning Bartimeus and controlling him are two very different things--and Nathaniel may be in way over his head. I was happy to say that I was not the only one to discover this book among the people around me since a friend of mine considers this his favorite book also. You see, it would be not be very convincing if I was the only one praising and promoting it, right? So for you to join the ranks of believers in this book, it would be better if you start reading now should you find a copy from the bookstore nearest you.